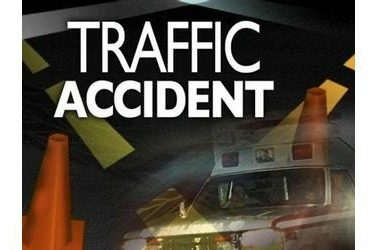 The Oklahoma Highway Patrol reported a personal injury collision occurred about 2:30 a.m. Saturday on Canteen Road, about 3.4 miles east of Hardy lane, which is located about 13 miles east of Newkirk, OK in Kay County. The collision was not reported until about 5:53 a.m. The patrol said the accident involved a 2009 GMC Sierra pickup driven by Tina Marie Thompson (SIC), 46, of Newkirk, OK. Thompson was not injured. The second vehicle involved was a 2006 Ford Focus driven by Caulin Wade Orcutt (SIC), 23, of Shidler, OK. Orcutt was transported by ambulance to Ponca City Hospital where he was treated and released. A passenger in Orcutt’s vehicle vehicle, Michael Wayne Stevens (SIC), 22, of Shidler, OK was transported by ambulance to Ponca City Hospital where he was treated and released. After treatment he was arrested for an outstanding Osage County warrant. A second passenger in Orcutt’s vehicle, Mellvinna Renee Brakey (SIC), 32, of Shidler, OK was transported by ambulance to Ponca City Hospital in critical but stable condition, then transferred to St. John’s in Tulsa with head injuries. The Highway Patrol’s report stated both vehicles were westbound on Canteen Road. Orcutt’s vehicle was stopped in the roadway and was struck by Thompson’s vehicle. Thompson then left the scene on foot. Seatbelts were equipped in both vehicles, but not in use in either. The roadway is described as a dry, two lane, gravel road. The report notes an odor of alcohol on both drivers and the cause of the collision is still under investigation. Investigated by Trooper Adam Beck #700 of the Kay/Noble County detachment. Assisted by Kay County Sheriff’s Office, Newkirk Fire Department, Ponca City Fire Department, and Shidler Fire Department.